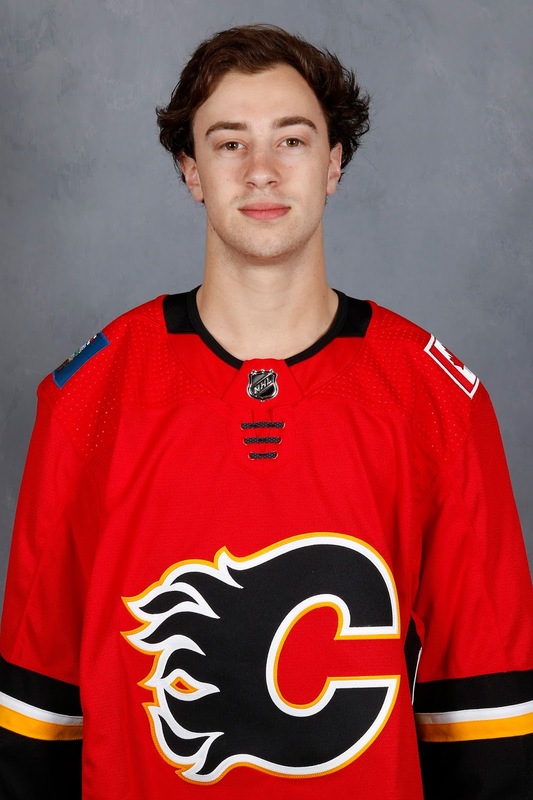 If you're wondering why mortarboards and graduation gowns are hard to find in stores these days, you can blame this edition of the Flames top 20 prospects as this time around, there's been more graduations than normal on my list. As has become tradition for to help ardent fans pass the time during the NHL all-star break, it's time to unveil the latest and greatest list of who could be regular NHLers in Calgary in the future. This is also an enjoyable undertaking because first the arguing begins with myself. Up until the last moment, I'm always tweaking the list. Moving one guy up, moving one guy down, moving one in, moving one guy out. I'm constantly thinking it over, re-thinking it and yes, probably over-thinking it. No matter what, there is always going to be debate and maybe even a little outrage and now those discussions can begin. This is the sixth edition of my bi-annual rankings, which made its debut in August 2015. While it doesn't feel like all that long ago, a look back at the list reminds you of how long ago it really was. Topping the list that initial year was Sam Bennett. Having just been made the Flames highest-ever draft pick, it was hard to dispute his perch at that juncture. 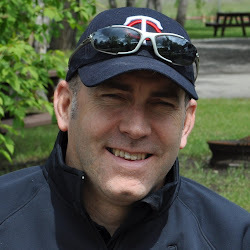 But the next three on the list -- Emile Poirier, Mason MacDonald and Brandon Hickey -- well, for a variety of reasons, their careers have not exactly taken off. Not yet, anyway. 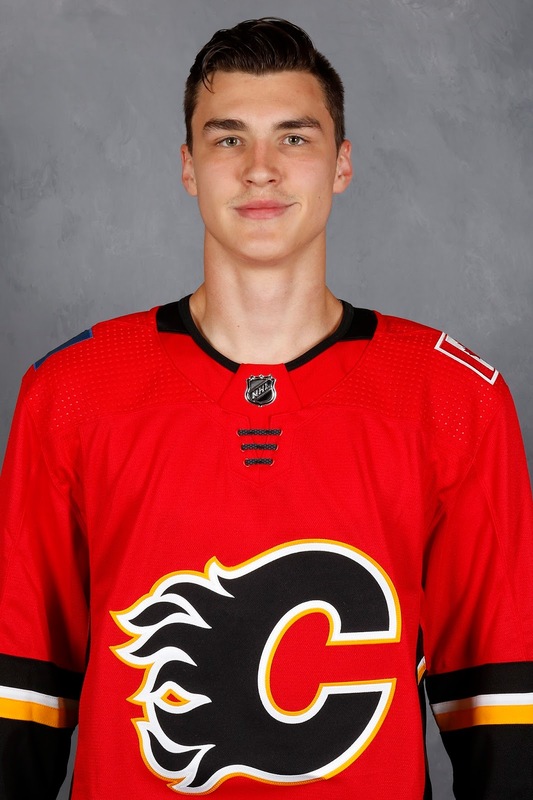 That's what makes these snapshots in time of the Flames prospect cupboard, done twice a year -- late in the summer after the draft and in January/February at the all-star break -- so fascinating is it reminds us of what once was supposed to be, which frequently turns out not to be, and vice versa. On that first list, at No. 10 was Micheal Ferland. 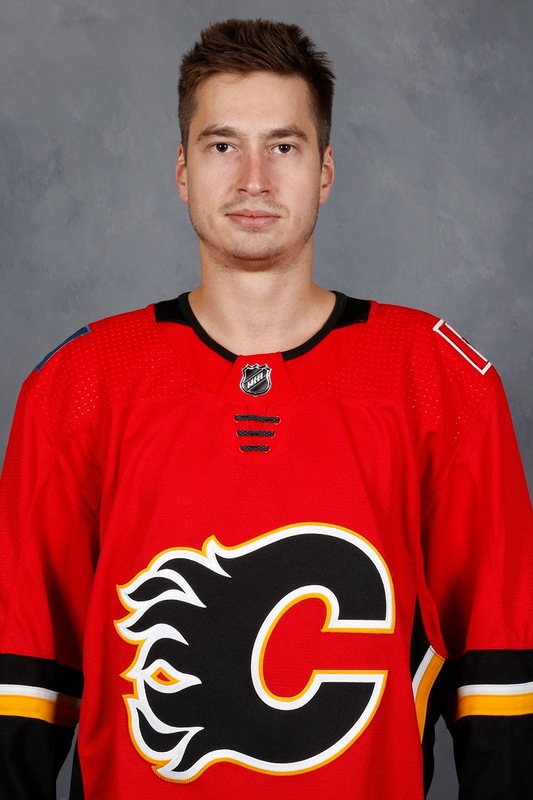 Arguably too high at the time, now he's on the Flames No. 1 line. You just never know. 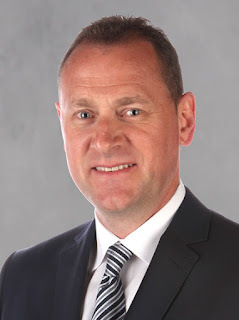 One thing I'll point out is I like to build-in a power rankings-like feel to my list so prospects tend to rise and fall on my list in a more volatile fashion than they might on the whiteboard in Brad Treliving's office. But I like it that way, it reflects who has had a good season so far, and who hasn't. For my rankings, note that this is not the order in which I expect players to ascend to the NHL. The estimated time of arrival (ETA) is a minimal factor only. A bigger consideration are two things: 1. Likeliness to make the NHL. 2. Projected impact/role if they do make it. As mentioned, more of players than usual have moved on this time around and moved on in a good way. 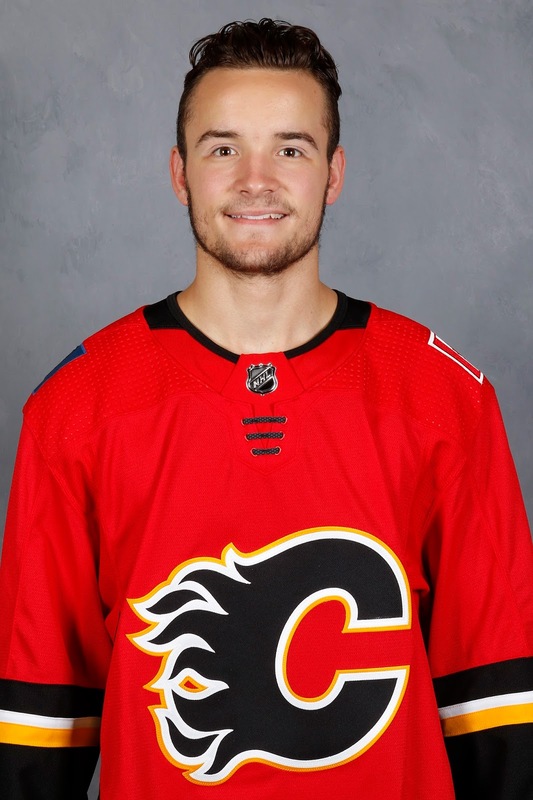 It could easily have been four, but instead, three players have graduated, no surprise given the high impact Stockton players have made on the 2017-18 Flames. The most notable departure is Mark Jankowski, who last time around checked in at No. 2 on the list. Given the go-ahead in December by GM Brad Treliving to find a place, not only does that mean no more living at hotel, it also means he's been evicted from this list. 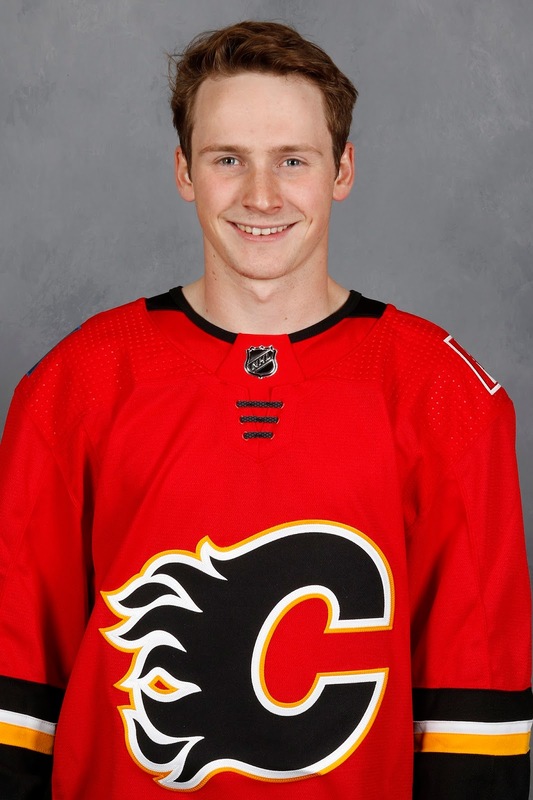 Now a regular on the third pairing, Brett Kulak has also moved on and good for him. An honourable mention while he was languishing in the ECHL, he bumped up and down the rankings over the years, leaving off at No. 13 last year, which is about where you'll find guys with third pairing upside. For Kulak, we'll see if he can take it further. The other grad for a couple reasons is Garnet Hathaway. For one, he's too old now. But also, he seems to have established himself as a bottom-six NHLer with the GM saying recently that he's here to stay for the season. So, are you sitting comfortably? Then we'll begin. Included for reference is each player's previous rankings starting from the most recent (August 2017) and working backwards chronologically. An AHL all-star, the highly-competitive Swede continues to log a ton of ice time. Relied upon to go up against other team's top lines, those nightly assignments are helping round out his defensive game. With the puck, his game is already considered elite. His fitness issues are also seemingly behind him. Jonathan Quick-like with his quick reflexes, athleticism, quickness and high compete level, Parsons remains the guy viewed as the starter of the future. That said, a tough start to his first pro season sees him drop to No. 2 on my list. But he's been back in fine form lately and there are no lingering doubts. Smart and offensively gifted, he had another stellar performance at the WJC, showing why there is so much excitement within the organization for a guy that somehow slipped to the third round in the 2016 NHL Draft. In his sophomore year at Harvard, expect him to leave school this summer or next. Put himself on the map with a terrific performance in captaining Canada to gold at WJC. Lauded for his defensive play last year, this year he showed his offensive side. While I'm not sure of his ceiling, he has all the tools to play in the NHL. A sure thing to turn pro next fall, he may not be that far away. There are high hopes for the big Finn, who has frequently captained his country in international play and did so again at the WJC. Injured right now, he is having another solid WHL season. An impactful presence on the ice, the club expects him to develop into one of those coveted top-four defencemen. Starred in his second pro season in the minors and was named an AHL all-star. 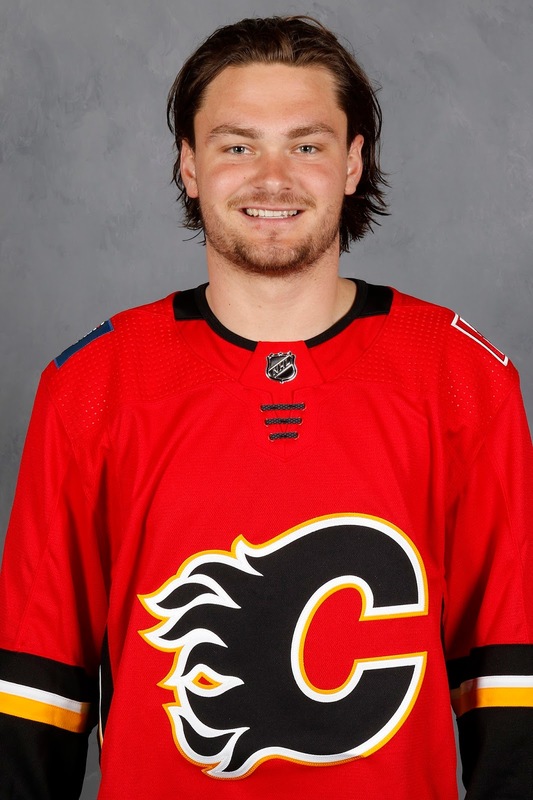 Finally got his shot in the NHL and while he has not picked up a point while toiling on the fourth line, experience of taking that next step -- the biggest step of them all -- will only help him. If his time isn't now, it will be soon. Considered close to NHL-ready last summer, a great start combined with poor play from Eddie Lack earned him an opportunity and he's run with it. Well-liked and a hard worker, I considered graduating him, but just two months removed from being in the minors, let's see how he fares in the second half. Detailed structure of pro hockey made for big adjustment from NCAA. Depleted Heat roster leaving less talent to play with also a factor in slow start. 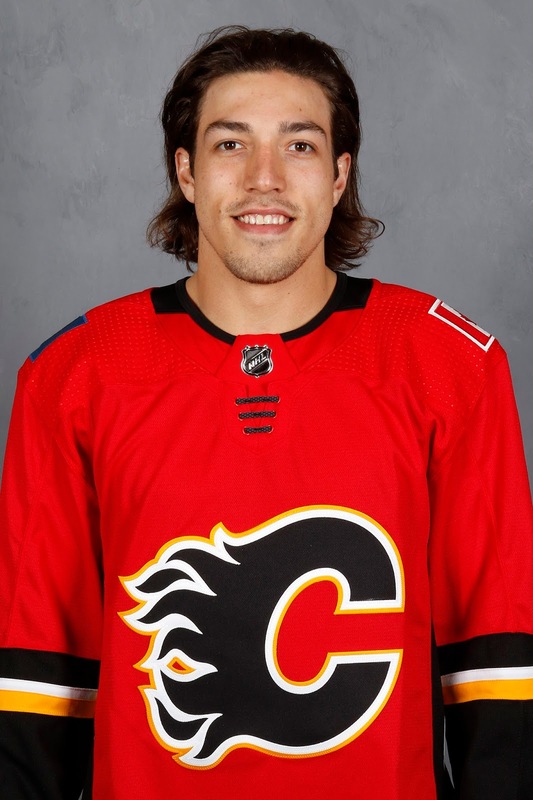 But lately, has been more confident and dangerous offensively and Foo is now the guy making his linemates better, rather than him depending on them. 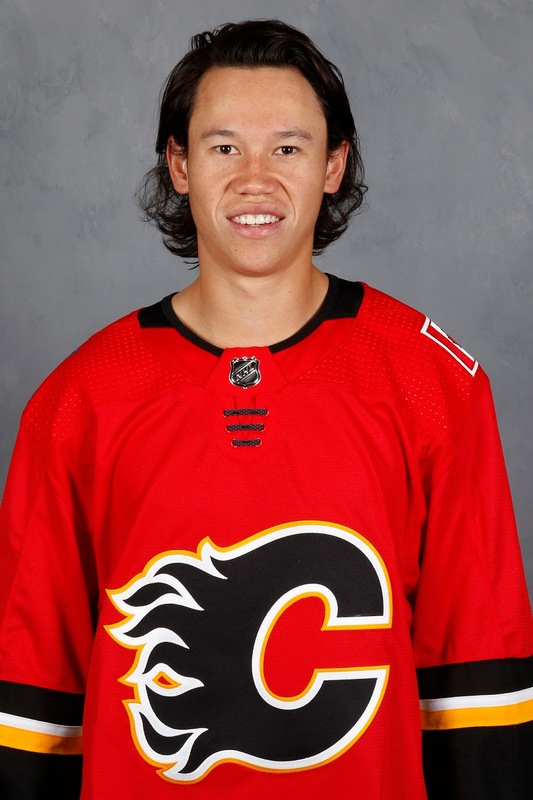 Flames prospect Spencer Foo has been heating up in Stockton lately. Five points in two games this weekend gives him 11 points (6 g, 5 a) over his last 9 games. He had just 13 points (6 g, 7 a) in his first 30 games. 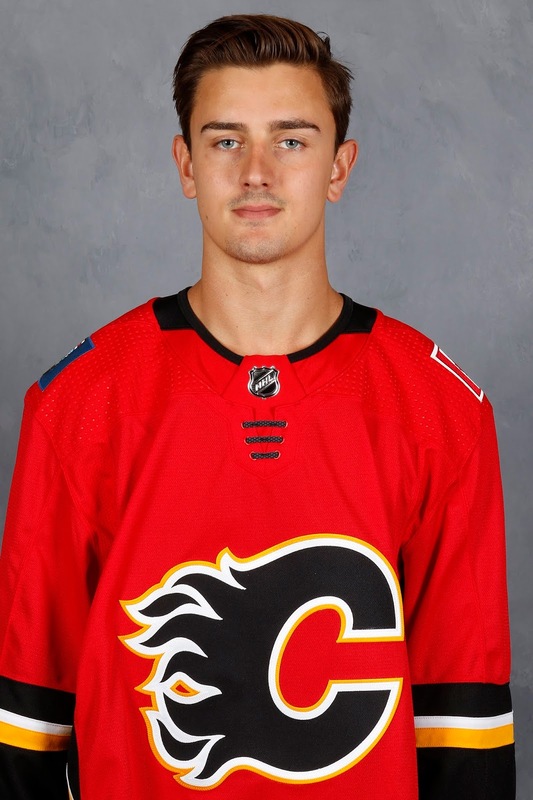 Fifth pro season -- two in Sweden, three in the minors -- you wonder if AHL-fatigue may set in given his contract slid twice so he's on his ELC for two more years. Elite skater having his best offensive year. Decision-making is improving, but lapses persist. Still working on his play away from the puck. 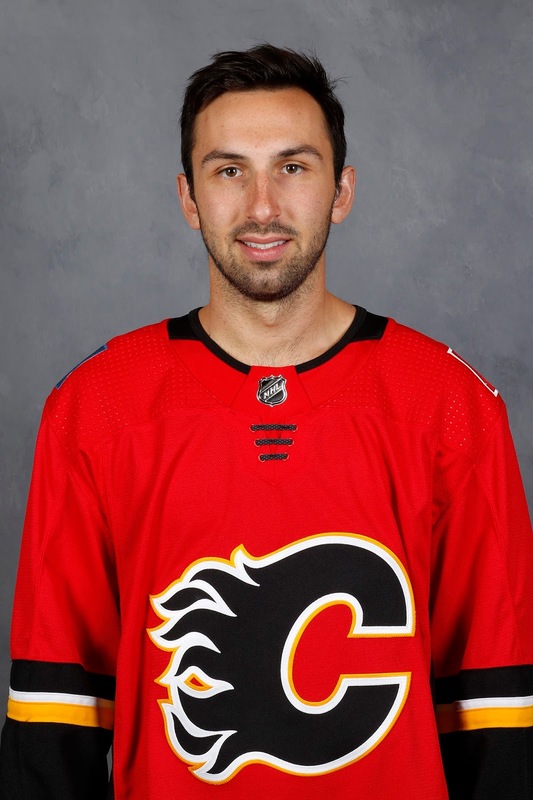 Rittich getting the NHL back-up job must be a tough situation mentally for Gillies, as there's nowhere to go at the moment. Shines at times, but then will suffer a lapse in his play. e.g. After back-to-back shutouts recently, has a .869 SV% in last four starts. Needs to stick with it and improve consistency. Lots to like with the Slovakian, who is piling up points on a strong Sarnia team. Projected to go as high as late second round, Flames got him in round 4 where he could be a real steal. He's a young man in a huge body so still has lots of work to do to build strength and be a more consistent player. Thriving in the WHL as he should as a 20-year-old playing on a great line, but the insane production became too prolific to ignore. 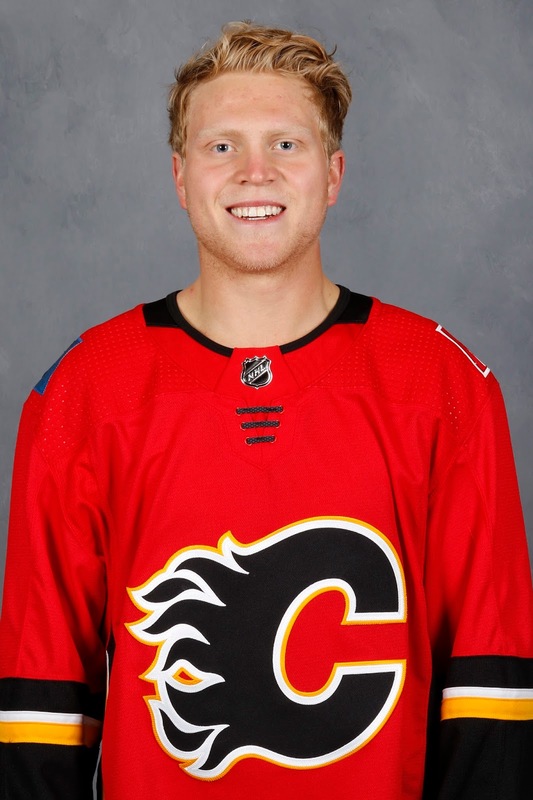 So Calgary jumped in and signed him, cashing in on the relationship built when Gawdin turned heads at September's rookie camp. Club loves his drive and overall game. Unlikely to become a high-end scorer, but the organization likes his defensive game, PK ability and face-off prowess. Playing his second year in Sweden's top league has been great for his development. Centered his country's top line at the World Juniors, centering Elias Pettersson and Alex Nylander. His stats leap off the page where he's been a non-stop source of offence for Victoria. But size is still a concern. Small is one thing, Phillips is tiny. Had a lackluster rookie camp last year and was a late cut from Canada's WJC team. Will be a joy to watch when he turns pro, it just might not be in the NHL. 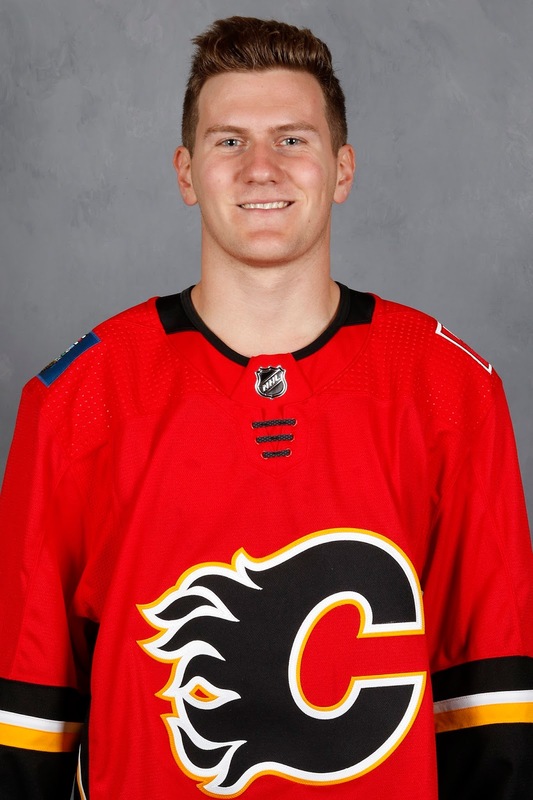 Has turned himself into a solid, dependable AHLer, but jury is out on whether he does enough things well enough to separate himself and become an NHL regular. Appears on the path to becoming the forward version of Tyler Wotherspoon -- serviceable in a pinch as a depth forward, but no big upside. Is an intriguing blend of size, skill and with a wicked shot. After coming over to the WHL for a year, he is back in Finland this season where he's putting up decent numbers in the top Finnish pro league. Played three games at this year's World Juniors. Is a natural RW, the organization's thinnest position. The good news is he's got his life back on track after his battle with alcohol addiction. The problem is that illness robbed him of some crucial development years in one's hockey career. He's trying to re-gain his old form and you see flashes, but it appears it will be a long journey with destination unknown. Getting in an NHL game was a great feat for a kid whose unconventional career path has been a series of jagged lines. 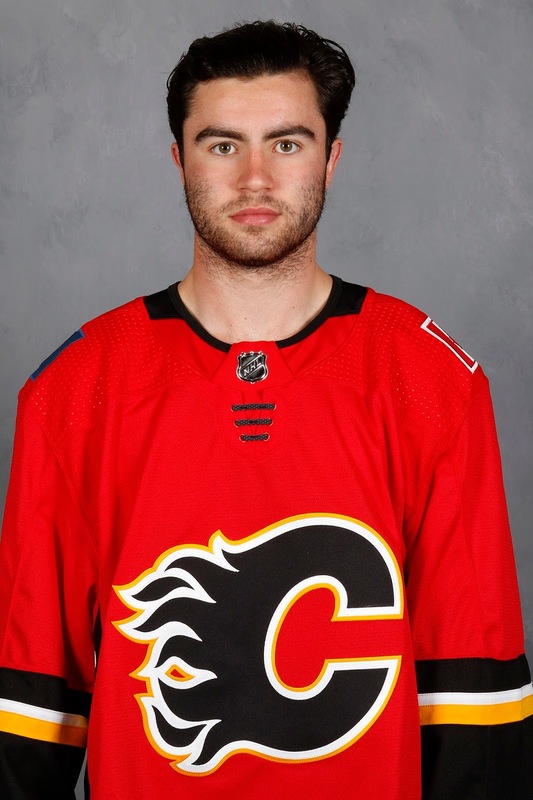 Viewed as a Garnet Hathaway-lite, he's fiery, fearless and an absolute buzz-saw on the ice with his relentless puck pursuit. What he lacks in natural talent, he makes up for in effort. Ryan Lomberg making his NHL debut is a great story. In 2015, he was a 5-9, unknown, unpolished, scraggly-haired kid invited to development camp. But driven by his passion for the game, he's knocked down every barrier and now brings his piss-and-vinegar style to the show. Awesome. A bad back forced him to miss development camp and rookie camp and same injury sidelined him to start the season. But since returning, he's been great and he has nearly equaled his point total from a year ago -- and in 28 fewer games. He's a long way out, but is an intriguing big body up the middle. As a fourth-year AHLer, the likes of Hathaway, Mangiapane, Lomberg and Hrivik all getting promoted ahead of him this season speaks volumes. Appears Vancouver sold high on Shinkaruk, who hasn't been able to get back to the numbers he put up two years ago with Utica. Time is running out. D Josh Healey (previously 18th) - Still adjusting from NCAA and playing time has been hard to get. RW Zach Fischer (debut) - Late bloomer passed over twice in draft. He can score and he can fight. C Mitchell Mattson (previously NR, HM) - Lanky, long-term project will play for MSU next year. 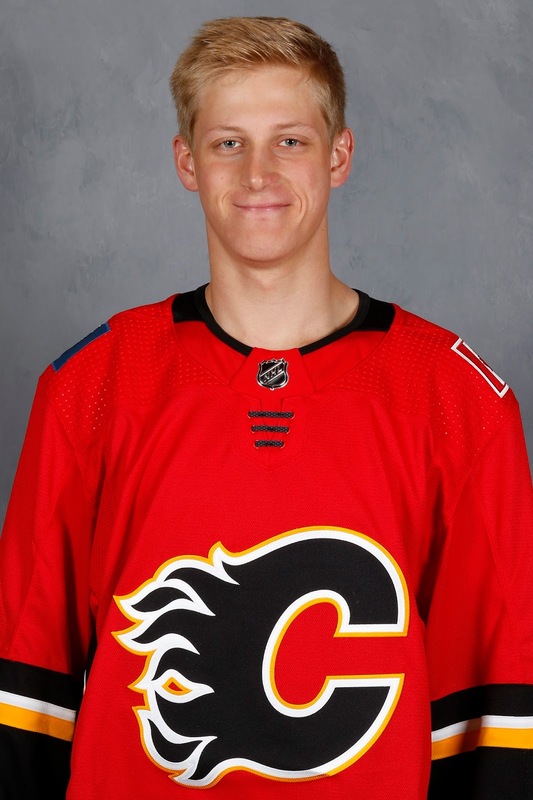 D Tyler Wotherspoon (previously HM, 13th, 12th, 13th, 11th) - Solid AHLer, can't get NHL look. D Adam Ollas-Mattsson (previously NR, HM, 20th, 19th) - Big Swede in first year on the 200x85. Happy to be proven wrong, but I'm definitely less bullish on Phillips than some. 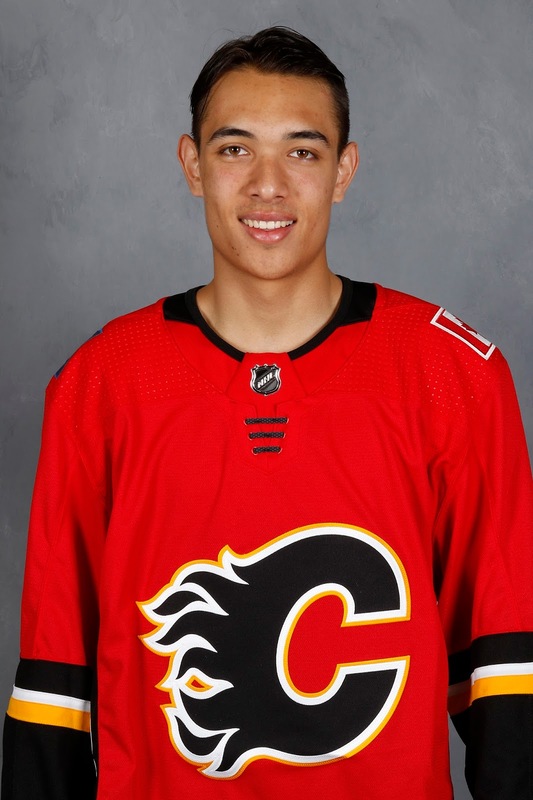 Not sure he is as shifty as Gaudreau and matched up against much stronger players in the NHL, I'm skeptical that he will be able to have an impact. He's smaller than Gaudreau and that's saying something. But I'm rooting for him because he's a super nice kid and a local kid, it would be an awesome story -- and hey, I always cheer for the story. Always. Like many I wish they would give Klimchuk a look. 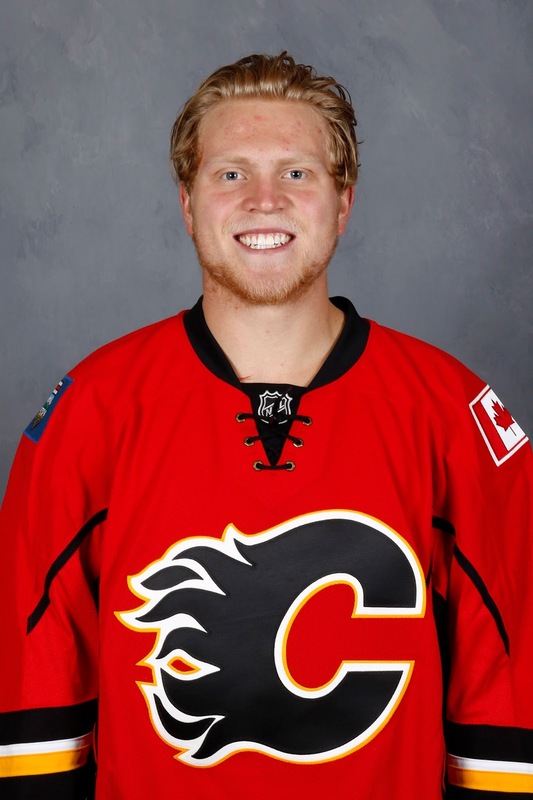 Even if he was the 13th forward for an extended period the Flames would have a better idea. 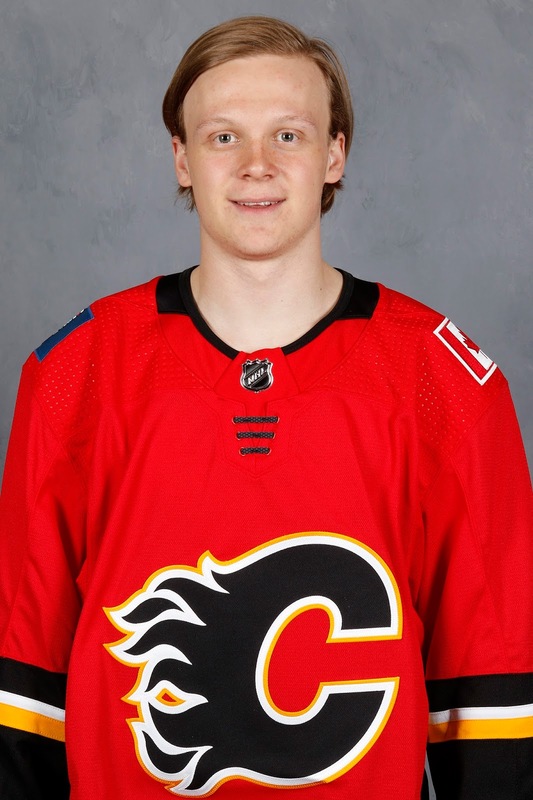 Is it time to move on from Poirier and Shinkaruk? 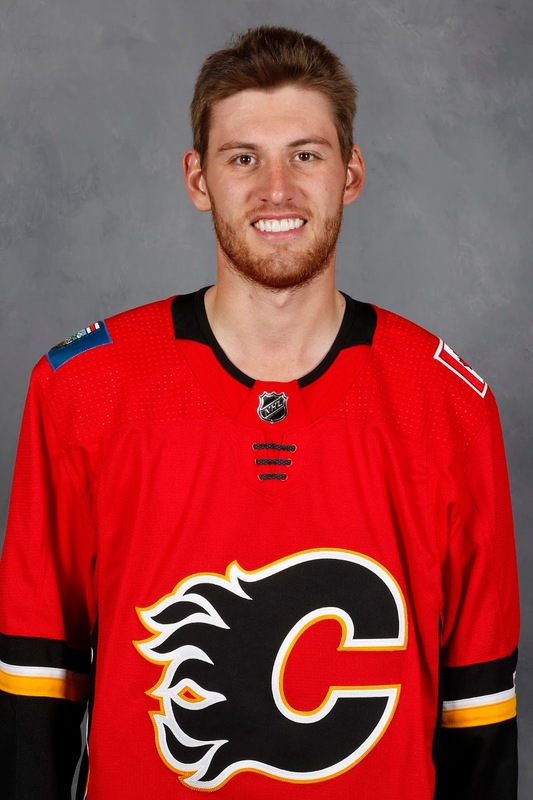 Should the Flames consider moving one of their D prospects for someone who might be ready to play RW for them? 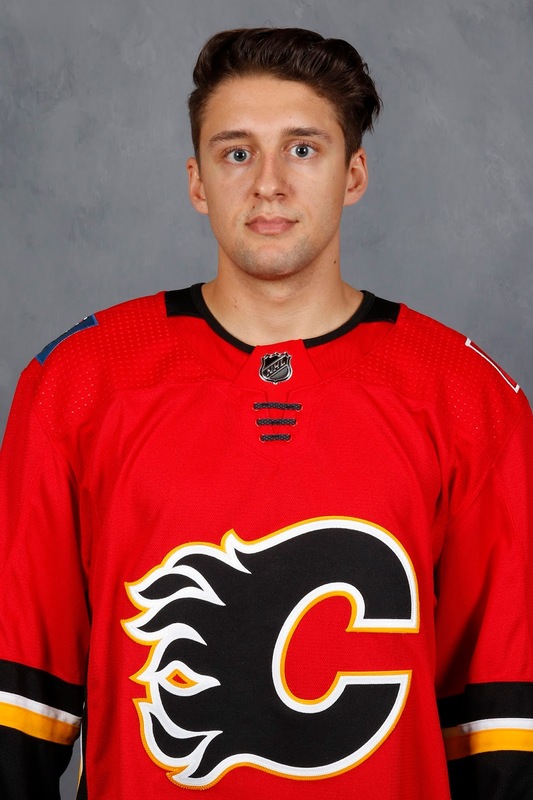 I'd like to see Klimchuk get a look even if it's just a game or two, to at least see what's there. I think Shinkaruk is near the end. Given Poirier's unique situation, I'm not prepared to walk away on his upside quite yet, but the team may. Hard to say. The odds of him making it get longer and longer every day. As for making trades, prospects that aren't A prospects won't get you much. 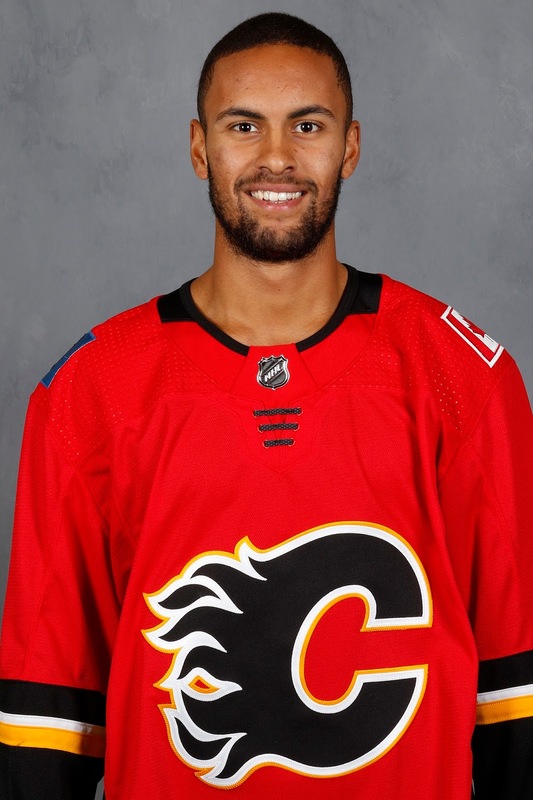 Kylington for example, doubt he fetches a guy that can step in and play RW on Calgary. All teams have prospects they hope turn out, they're not giving up much to get a question mark from another organization. On another matter; how many of the CHL players do you see joining the Heat at the end of their CHL seasons. Also do you see any way that Fox signs at the end of Haarvard season? 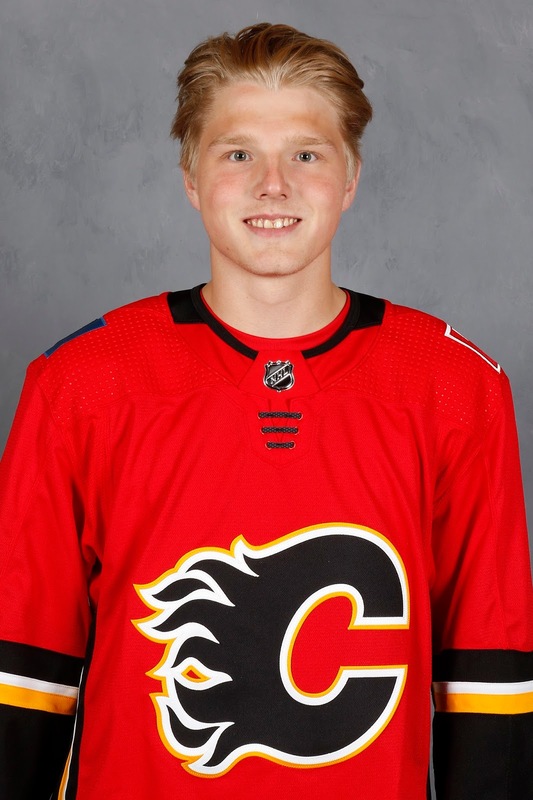 How do you make room for both he an Andersson?